Diagnoptics. Non-invasive assesment of cardiovascular risk and risk of diabetes. How does the AGE Reader work? 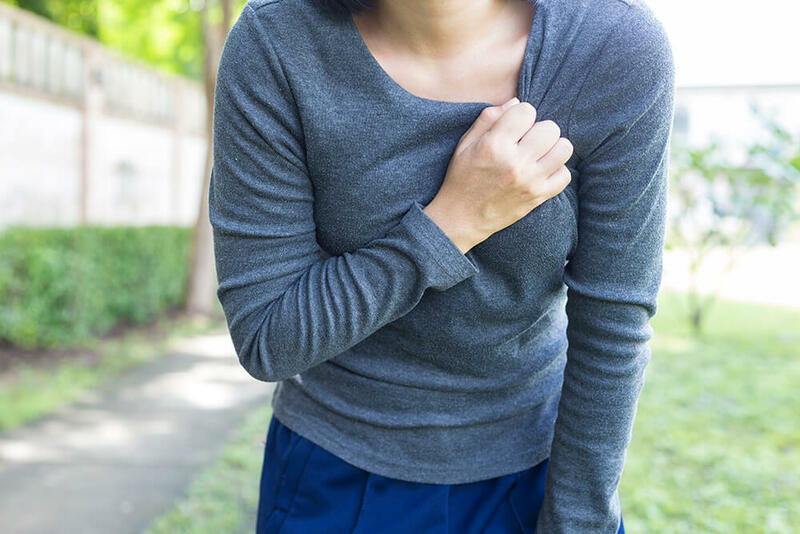 Advanced Glycation Endproducts play a key role in the development of chronic age-related diseases such as diabetes, renal failure and cardiovascular disease. The new AGE Reader App allows you to generate a comprehensive Cardiovascular Risk Report based on the AGE Reader measurement. For each patient all visits can be documented and consulted in the easy to use App. Would you like to learn more about our products? Request any information you wish to receive here. The AGE Reader and Diab-spot have received approval in a number of countries. Please check with the distributor in your country or Diagnoptics what the regulatory approval status is in your country. 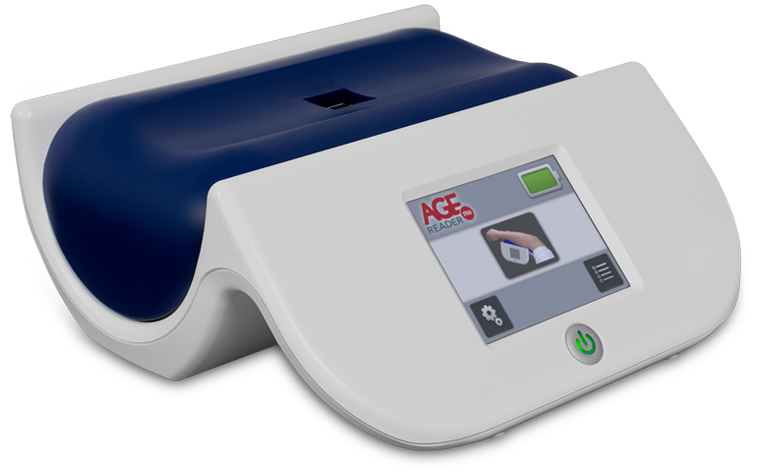 US Caution: Federal law restricts the AGE Reader and Diab-spot system to investigational use only. Commercial distribution has not been granted by the US FDA. Please see the AGE Reader and Diab-spot user manuals for descriptions of all relevant warnings, cautions, contraindications and safety information. 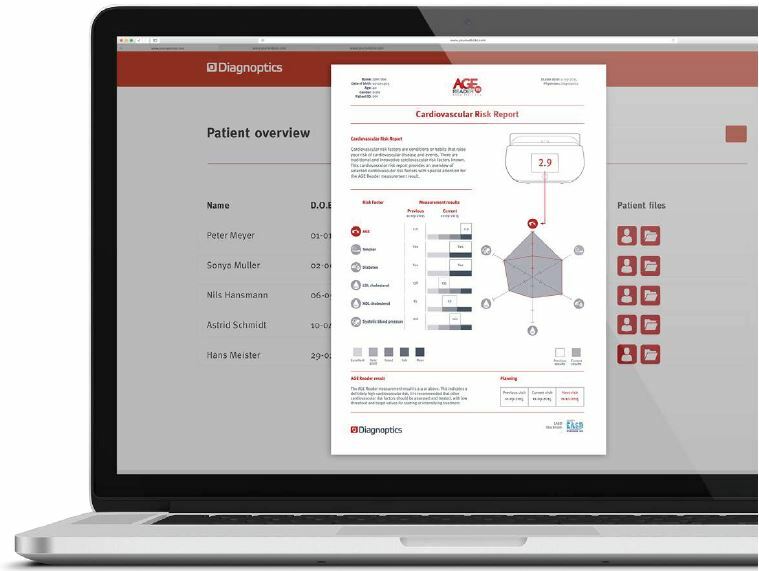 Information on Diagnoptics' products and Advanced Glycation Endproducts. Information about Advanced Glycation Endproducts, the AGE measurement and clinical validation.